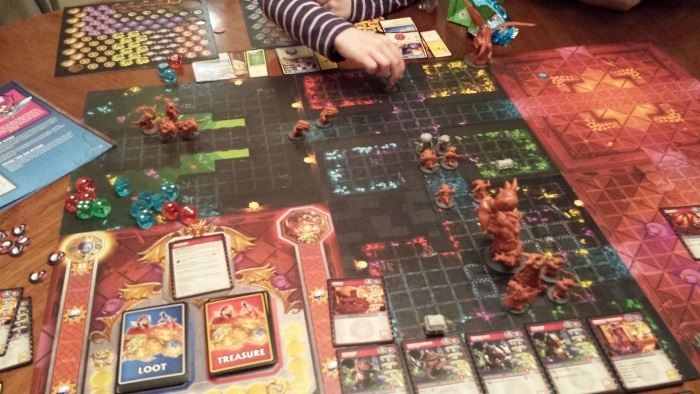 My daughter and I sat down tonight to play Super Dungeon Explore tonight. It is a game that I have had for a while but we have just not gotten to play. I had already put together all the game pieces, so they were ready, but they are not painted (and I’m not sure if I’m ever going to actually have time to do that or not). 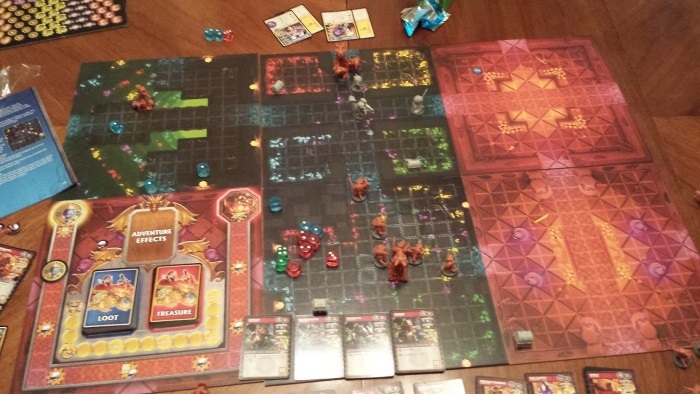 I had already watched the series that Watch It Played did on Super Dungeon Explore, so I knew the basics, but I still hat to read a bit of the rules to get a handle on it. After about 30 minutes or so of setup and prep, we were ready to play. Lauren choose her adventurers (I let her play two instead of one because initially Logan was going to play too but he lost interest during prep) and I played one hero as well as the Consul (game master). We played for around an hour or so and didn’t finish. We were supposed to go on to kill the dungeon boss, but we just decided to kill the mini-boss and call it a night. We had a ton of fun and Lauren already asked if we could play it tomorrow night as well. We both agreed that now we have the basics down and would know what to do to make it through the dungeon quicker next game.